Vijender Singh has had stellar 2016. His unbeaten run in professional boxing was capped by the WBO Asia Pacific Super-Middleweight Championship win against Australia's Kerry Hope in July, following which he rose to tenth place in the WBO world rankings. 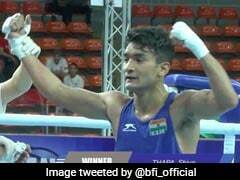 Now the Indian pugilist has the chance to sign off the year with another big win when he takes on former world champion Francis Cheka of Tanzania in a ten-round contest on Saturday. 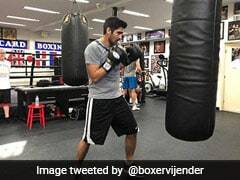 Vijender will be defending his title against the highly-experienced Cheka, and has been preparing for the bout by working with a strength coach John Joyce. "Joyce has been working with me for over month and a half. 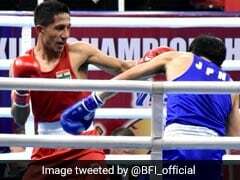 He helps us out in training because a 10-round contest requires immense physical fitness," Vijender was quoted as saying by PTI. "He is a professional coach and has worked with professional Premier League soccer players and other professional boxers. He has been a great addition to the training camp and has plenty of experience to offer," Vijender's British trainer Lee Beard said. The 2008 Olympics bronze medal winner is upbeat ahead of the big fight. "Cheka is a highly-experienced boxer, he has many bouts under his belt but I am the younger, stronger and hungrier fighter. He is coming to my homeland to take what is mine but I won't let this happen. 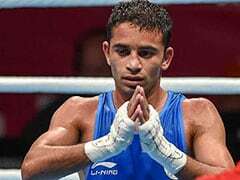 The Thyagaraj Stadium is my patch now and I'm expecting another huge crowd to come and support me," he said. 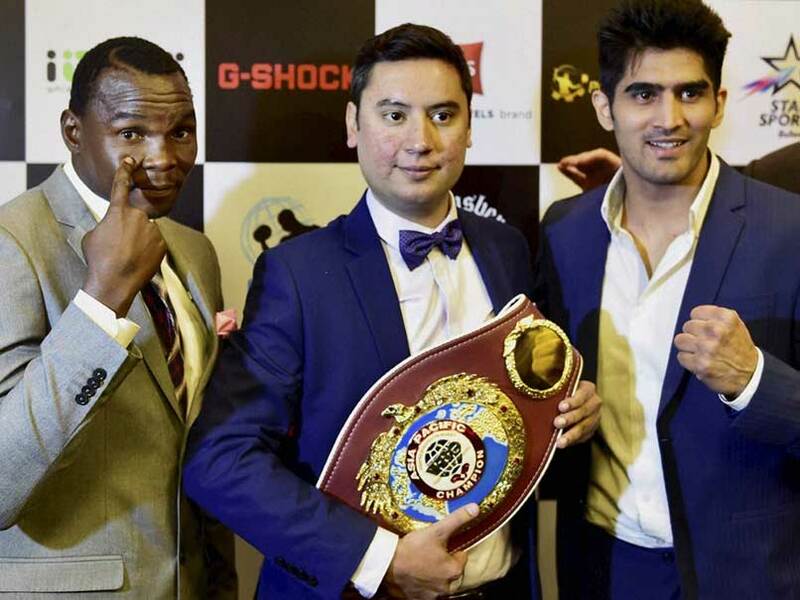 Vijender Singh has been the poster boy of Indian boxing in recent years, and a win over Cheka will come as a major boost for pro-boxing in the country. "It's not about myself, it's about my nation, my country," he said about the upcoming bout. "This comes after a lot of hard work put in by me, my trainer and my team. 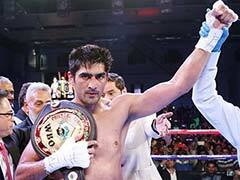 I thank my coach, my promoter and my team who have done a fantastic job. I also thank the fans, the celebrities and sportspersons who came out to watch my fight," he added.